Alan Goodstadt and Glenn Fleishman left successful corporate careers to form Amplified Capital Partners. 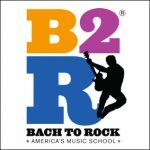 The investment group has opened one Bach to Rock franchise school and has plans for several more. Alan: I was an investment banker for 20-plus years and not focused at all on the music space. However, I am also an amateur musician and guitar player. I always had the desire to be an entrepreneur. Glenn had a very similar background. He was a technology executive for over 20 years, and he is also an amateur musician with an entrepreneurial bug. Glenn and I knew each other in music circles. 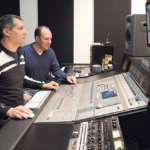 We had been talking for several years about doing something entrepreneurial in and around the music space. We both came across the Bach to Rock opportunity independently because we saw an ad — I think it was an email blast aimed at Guitar World subscribers. We were intrigued, so we agreed to work on it together. 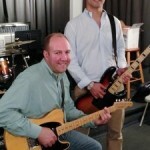 We started out as partners, and we made a deal with Bach to Rock to be the first franchisee. We opened a school in Port Washington, NY, in January 2013. We closed on a development deal with Bach to Rock at the same time that gave us the rights to five additional territories in the New York metropolitan area. Several months ago, we raised capital and brought on some minority investors to enable us to build some additional schools. Right now Glenn and I control an entity that has the rights to those franchises, and we are on our way to building a chain. Our Port Washington school is very successful, so now we are in the process of opening the second and third schools. Glenn: I am a passionate amateur musician and guitarist. I am also really into recording and audio engineering. My story is the most typical, cliché in the world. I started playing when I was about 13 or 14 because I thought the girls might like it. I was coming of age in the early 1980s. I was a typical Jersey Shore heavy metal kid. I was really into hard rock and classic rock — ACDC, Led Zeppelin, Aerosmith and Van Halen were my first influences. I played all through high school. I took a little break in college, and then after college I picked it back up again in my mid-20s. I started playing in bands around the city, and I got seriously into it. I always knew I needed to be involved in music. At the same time, I was having a very good career in telecommunications. Music remained an amazing hobby for me but not a profession. Alan: My story is similar to Glenn’s. I was passionate about music from an early age. I started learning to play guitar when I was 13. I played all through high school, and I was in bands in college. Then I dropped it for about 20 years because I was under the misconception that music is not something that adults pursue. I had a great banking career, but I wasn’t passionate about it. I always kept coming back to music. Eight or nine years ago I started playing guitar again. I really immersed myself in it. I found out that I was just as passionate about it as I was when I was a kid. I reached the point in my life where I was ready to combine my skills and my passions professionally. How are things going with your Bach to Rock school in Port Washington? What has stood out about it in the startup phase, and how has the school grown? Alan: It grew very quickly. We were pleasantly surprised. We pushed on our back heels the first few months because the pace of new subscribers was a lot quicker than we expected. The community really embraced the concept. Parents and kids really got into it. The business really did ramp up much faster than we had hoped it would. Do you think there is something about the location that made it take off? Alan: It’s a combination of factors. First of all, Bach to Rock offers something that is very unique in the marketplace. In addition, we have a location that is incredibly convenient for parents in this community. We have a facility the likes of which most people haven’t seen before, and we have a staff that is very talented and very professional. When people walk into our school they see a beautiful facility. They also meet our Bach to Rock staff and feel the environment we create. It’s something that parents, kids and students of all ages want to be a part of. Are you surprised at all that you found a good way to blend business expertise with a passion? Glenn: I’m happy about it, but I wouldn’t say I am surprised because I always had it as a goal. I set my mind to do it. I was really bored and tired of telecommunications. I’m thrilled, and I hope it works out financially. We are very optimistic. Tell me a little bit about building the facility itself. Can you flesh it out a little bit? Is it state-of-the-art? Alan: For a private music school, yes. When many people think of a music school, they picture the local guitar shop that has a few little rooms in the back. Either that, or someone coming to your home and playing the saxophone or the piano in the living room. When you come into our facility it almost looks like a New York City record company. It is designed with big, bold colors. We really strive to make it a place that’s comfortable for very young kids as well as for adults. We were very concerned about making it too “elementary school.” We didn’t want to scare away teens and adults. We were also worried about creating an environment that looked like a cave that would attract teenagers but be intimidating to kids. I think we achieved our goal. Music lessons are in what many economists call a fragmented industry, meaning there are very few brand or business names that you would associate with them. Do you see that as an advantage in making a name for Bach to Rock? Alan: I see us professionalizing what has traditionally been a very unprofessional industry. We are applying all of the disciplines of service retail to an industry that has had very little of it. We give people an experience that they would expect from any other service retailer — really differentiating ourselves from the mom-and-pops and the less professional operators in the space. What is your day-to-day involvement? Do you hire the staff or do you have a general manager? What’s the hierarchy? Alan: We have a total of 18 employees, including a site director and an assistant site director. Glenn and I take on roles supervising the business, and we divide up marketing, HR, accounting, finance, payroll and accounts payable. What have you noticed happening with the kids? Alan: Bach to Rock is the highlight of the week for a lot of our students. They are excited to be there. It is not the old-school model of the parent twisting a kid’s arm to get them to take music lessons and practice. It’s something the kids are excited about doing. We are really are surrounded by a lot of happy, smiling kids. We get kids doing things they didn’t think were possible. We get kids into bands or performing on stage. We will get the shyest, most reserved kid up on stage with a microphone. We get them dancing around the stage having the time of their life. It’s really exciting to see that kind of transformation in a kid. How do you find talented teachers? Glenn: Finding teachers is one of the real challenges of managing a school well, and it’s something that can easily go wrong. So we put a lot of time into interviewing teachers. There are some very talented musicians who aren’t cut out to be teachers, and conversely there are a lot of people out there who’d make decent teachers but who might not have great performance skills. The challenge is to find teachers with a combination of good performing and speaking skills, who are extroverted enough to communicate positively with students and can speak to parents. At the same time they are patient and thorough enough to be good teachers. Alan: We spend a lot of time interviewing, and we are very picky about who we hire. Our teachers have to have the perfect combination of teaching skills — not just proficiency but excellence on their instrument as well as being excellent with kids. That’s a hard thing to find but we have been very successful. We are very proud of our entire staff. What about going into the future? What do you see happening in the next year or two in terms of your new franchises? Glenn: We think we have a good template for success. We’re taking some of our most talented people and promoting them to make sure we export our culture and our values to our new, upcoming schools. We are also hiring from the outside to fill positions in those schools — just the way we hired to fill the Port Washington school. We’re also still hiring at Port Washington because we’re so busy. Why would you recommend the Bach to Rock franchise to someone who is shopping for a franchise? Alan: Bach to Rock is doing something very innovative. It’s a business that enables you to immerse yourself in the community and give back to your neighborhood community. There are a lot of days when Glenn and I look at each other and smile and say we can’t believe that this is our job. It’s a lot of work, but we love it. There are many days where we have guitars in our hands. Glenn: I really like it that the primary focus of our business model is on the students. Alan and I were very nervous about going into the world of franchising. We had a connotation about what franchising was in our minds, and we weren’t sure if it was good. None of those fears has been borne out. The Bach to Rock guys are just great. They are good, honest people. The business model is also great. I feel like as long as people keep making babies, there will be a never-ending source of potential customers.